These are drawings done with a sewing machine. 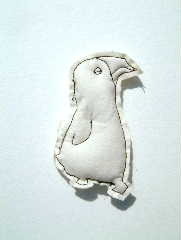 Each animal is outlined, then stuffed, then details are stitched in. This web site and all text, images, and videos Copyright © Laura MacCary.